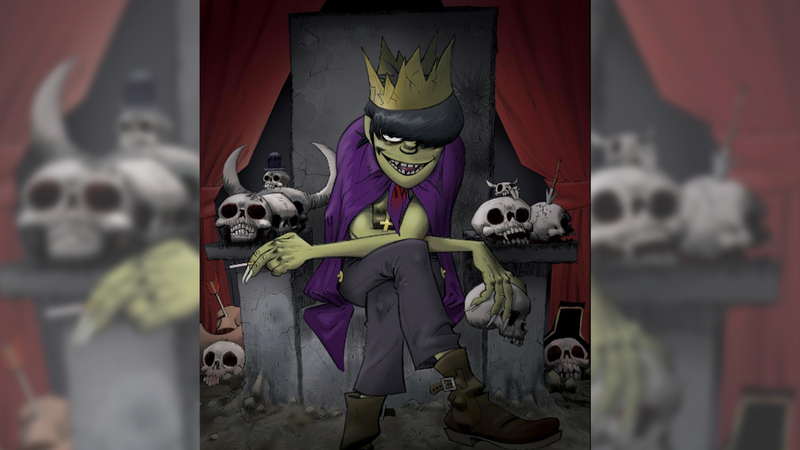 When Gorillaz were founded in 1998, creators Damon Albarn and Jamie Hewlett built an empire of anonymity and fantasy. While Albarn and Hewlett produce, write, and record all of the tunes, Gorillaz also consist of four virtual band members, (2D, Russel Hobbs, Murdoc Niccals, and Noodle) who light up the stage and star in their music videos. The "DARE" creators recently dropped a bombshell on their fans, however, after debuting a perplexing new Instagram account without warning. Not only did the account come as a complete surprise—it also contained a timeline of the band’s greatest accomplishments, including the cover art of their first single, "Tomorrow Comes Today" and screenshots from the music video of the band’s popular hit, "Feel Good Inc". Footage of the band working in the studio surfaced on Jamie Hewlett’s personal Instagram just a few months ago, and we can’t help but wonder if this account means the new music is coming soon! All in all, it’s safe to say that these elusive characters are up to something really special. Could a new set of live shows be on the horizon to followup their previous tours, Demon Days: Live and Escape to Plastic Beach? Only time will tell, but until then, make sure you’re tracking Gorillaz on Bandsintown so you don’t miss any action!